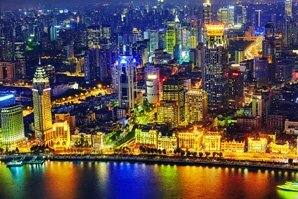 Since January 30th, 2016, Shanghai has extended its visa-free transit policy from 72 hours to 144 hours (6 days). It provides more convenience and flexibility to businessmen, travelers, and passengers who are passing through Shanghai to their final destination. It is called the 144-hour visa-free policy. But it is possible to make your stay longer than 144 hours without a visa. First, you need to know how the 144 hours are calculated. The 144 hours start counting down from 00:00 following the day of entry. 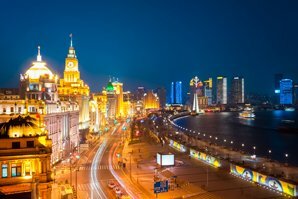 For example, you enter Shanghai at 6am on June 1st, 2016; your stay period starts counting down from 00:00 on June 2nd and you can stay until 23:59 on June 7th. So you actually have more time than 144 hours if you can find suitable transport. Take a cruise to Shanghai. 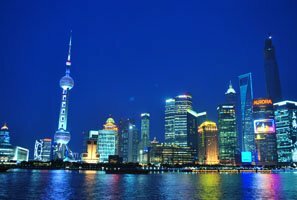 The most popular way to get to Shanghai is by airplane through Pudong Airport and Hongqiao Airport. But it is not the only option. Passengers traveling to Shanghai by boat and train can also enjoy this policy. 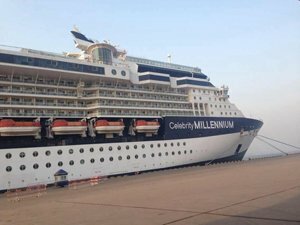 It means that you can get off a cruise ship at Shanghai Port or Shanghai Wusongkou International Cruise Terminal and take an excursion tour in Shanghai without a visa before you continue your cruise journey. If you are traveling in Hong Kong, you can take a train from Hong Kong’s Hung Hom Railway Station to Shanghai Railway Station with an onward ticket leaving for a third country/area, and you don’t need to apply for a China visa. Besides Shanghai, Jiangsu Province and Zhejiang Province are also included in this 144-hour visa-free policy. If convenient, you can also choose to travel through Nanjing Lukou International Airport and Hangzhou Xiaoshan International Airport. Hangzhou in Zhejiang, and Suzhou and Nanjing in Jiangsu are famous tourist cities around Shanghai. It is convenient to travel to them from Shanghai by high-speed train. Make the most of your 144 hours to take a tour of these cities. 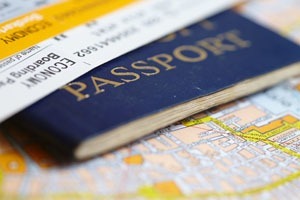 Visit Shanghai with your passport and air tickets, but NO visa! This policy requires that passengers must be in transit to a third country or region. Hong Kong and Macau are considered as third countries/regions for transit purposes. You can include them in your itinerary to meet the policy’s criteria and also do some sightseeing there. This 144-hour visa-free policy allows passengers to arrange their travel plans to China and even the countries in Southeast Asia in a more flexible way, and it saves a lot of trouble. 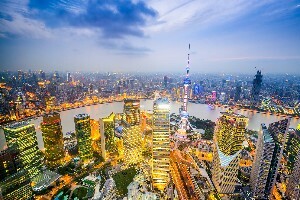 Shanghai is an important gateway to Southeast Asia. There are many flights between Shanghai and major cities in Southeast Asia. You can transit through Shanghai without a visa and enjoy a tour in Shanghai to adjust to Asia before you head to the next Asian country. Learn more detailed information about the 144-hour visa-free policy. 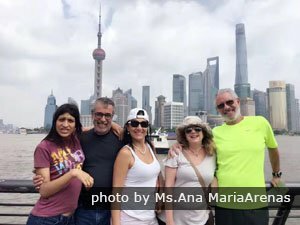 How to Spend Your 144 Hours (6 Days) in Shanghai? There are hundreds of historical, cultural, and scenic attractions in Shanghai. It is impossible to cover all of them in your itinerary but the most popular attractions, as detailed below, should not be missed. 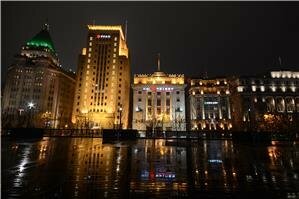 The Bund: Take a walk along the Bund to admire buildings in European styles and learn the history of Shanghai. The Oriental Pearl TV Tower: Enjoy a panoramic view of the Bund and the Huangpu River from a 360° glass viewing platform in the tower. Yuyuan (‘Happiness Garden’): This is a place to escape from the bustling city and enjoy some peace and quiet. Xintiandi: It is a former old city area of Shanghai’s French Quarter with many century-old buildings. Tianzifang: It is unique for its traditional Shikumen buildings and small alleys with galleries and craft shops. Shanghai Old Street: You will find many buildings built in the Ming and Qing dynasties, and dozens of traditional shops and restaurants. 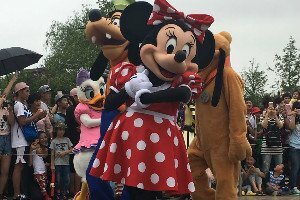 Shanghai Disneyland Park: This is the first Disney theme park in mainland China, which blends the magic of Disney and unique cultural elements of China. Shanghai Science and Technology Museum: Your children will learn many things while enjoying interesting exhibits. Shanghai Chocolate Happy Land: This is a chocolate castle where your kids can see many cartoon characters made of chocolate. Learn more places to have fun with your kids in Shanghai. Select one theater like Shanghai Circus World and enjoy an acrobatic show. Take a cruise along the Huangpu River to see Shanghai’s skyline. Learn more about the night cruise. Shop along Nanjing Road, which is the busiest shopping street in Shanghai. Hangzhou and Suzhou are two important tourist cities near Shanghai. If your time permits, add them into your tour itinerary. Hangzhou, one of the Seven Ancient Capital Cities, was praised by Marco Polo as "the most beautiful and prosperous city in the world". 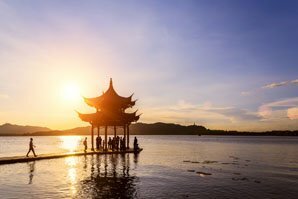 It attracts a large number of visitors with its beautiful West Lake and tranquil water towns. It takes 1–1½ hours to travel there by train from Shanghai. 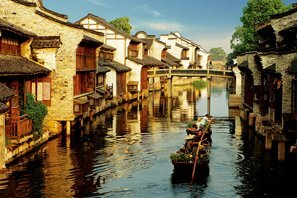 Suzhou is renowned for its classic gardens and traditional waterside architecture. The famous attractions include the Humble Administrator&apos;s Garden, Tiger Hill, and the Garden of the Master of Nets. It takes 30 minutes to an hour to travel there by train from Shanghai. See a detailed tour itinerary on: Shanghai, Hangzhou, and Suzhou Bullet Train Tour. See more Shanghai tours. Our tours are customizable — tell us your interests and requirements and we will help you to tailor-make a Shanghai tour.